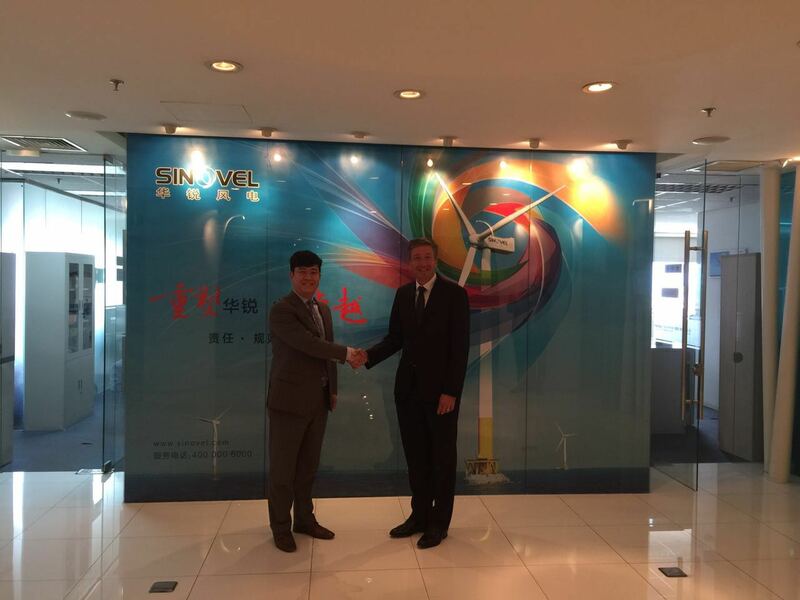 Signing of an exclusive distribution agreement-Company News-Sinovel Wind Group Co., Ltd.
Vergnet has signed an exclusive agreement with the Chinese group Sinovel - the world's third largest wind turbine manufacturer - for the distribution of its wind turbines. Under the agreement, Vergnet will sell Sinovel's SL1500 and SL3000 wind turbines in France, the Caribbean, the Pacific and the Indian Ocean as well as for other identified projects. In the longer term, Sinovel may transfer part of its production to France. Jerome Douat, Chairman of Vergnet group, said: "With our expertise in the construction of turnkey renewable energy facilities, and Sinovel's highly competitive machines, this partnership will allow us to establish a position in the construction of major wind farms - a market offering considerable growth potential." The Vergnet group specialises in generating renewable energy from wind, solar and hybrid sources. On the strength of these unique technologies, the group developed the Hybrid Wizard, a hybrid system that coordinates, in real time, the percentage of renewable energies that can be sent to the electricity grid while ensuring the operational safety and security of insular or isolated networks. The group has installed 900 wind turbines. The group is active in nearly 35 countries and has 185 employees in 8 offices. Vergnet has been listed on the Alternext market since 12 June 2007.